Away from the bridge and opera house, Sydney definitely boasts an impressive collection of amazing places to eat and drink. Thanks Sam Payne for our inclusion in a great list of Sydney favourites. 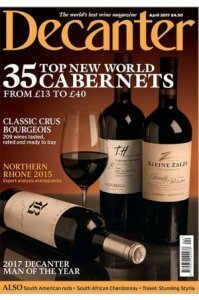 We certainly hope Decanter’s UK readers take note for their next visit down under. Maybe for next summer’s Ashes clash?